Romantic beaded lace makes up the fitted bodice of this breathtaking A-line wedding gown from Stella York. The tulle skirt boasts sprinklings of embroidered lace just below the detachable Diamante-beaded belt. The heart shape lace illusion back features an easy-close zipper hidden under fabric-covered buttons. This dress is extremely comfortable to wear, you will feel like a princess on your special day. The bodice hugs in at the bust and then flows out at the waist - great for eating, drinking and dancing all night long. It is even possible to wear a bra (like I did) by sewing a hook and eye on to your underwear - leaving the sheer back clear of straps. 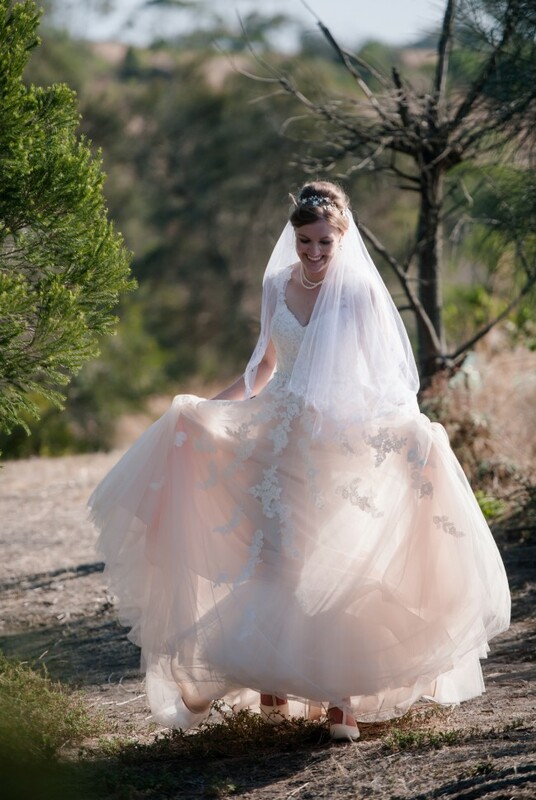 Fabric:Ivory Lace and Stone Tulle over Café Matte- Side Lustre Satin. Belt included in price of dress. 2 tiny tears in very bottom of tulle - not noticeable when wearing. Hemmed to my height of 170cm plus heels. Taken in slightly at bust and shoulders. Bustle added for dancing.